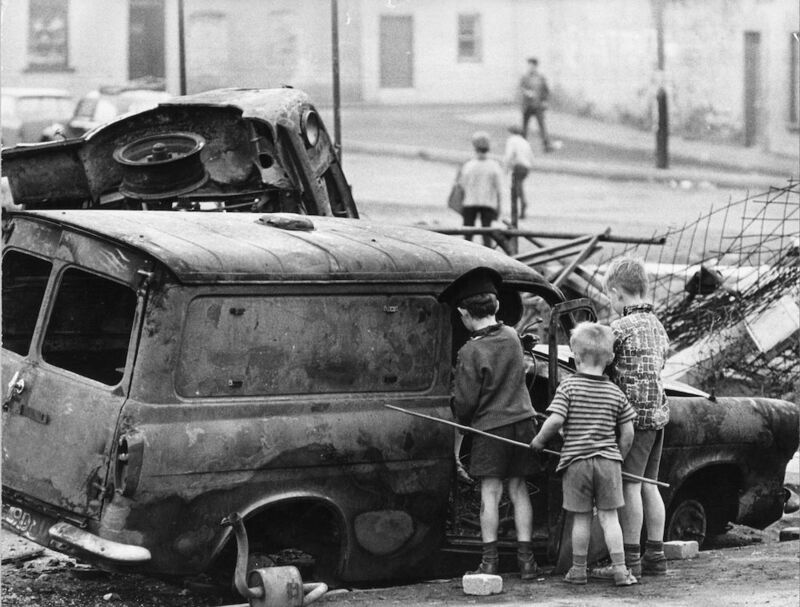 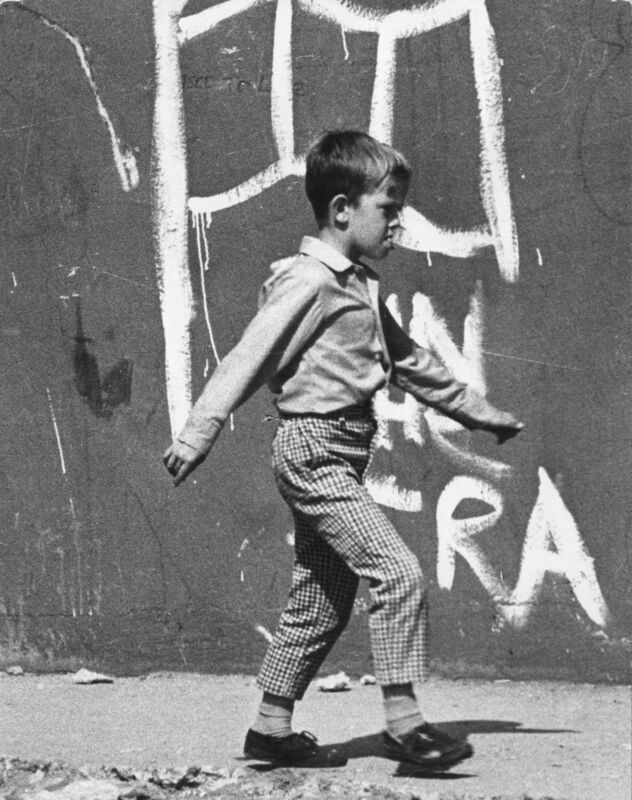 For many, Northern Ireland during ‘the Troubles’ was a place synonymous with murder, bombs, hit-squads, vicious bastards, shootings, victims of liberal bigots, prison and intimidation. 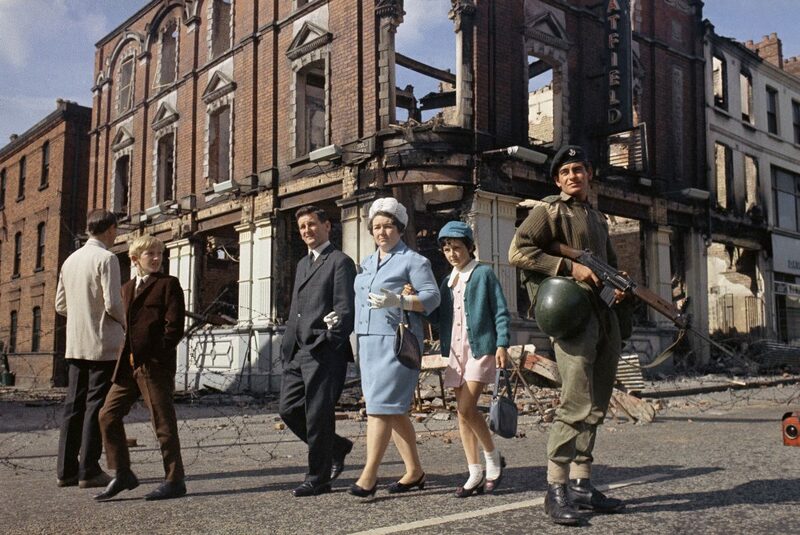 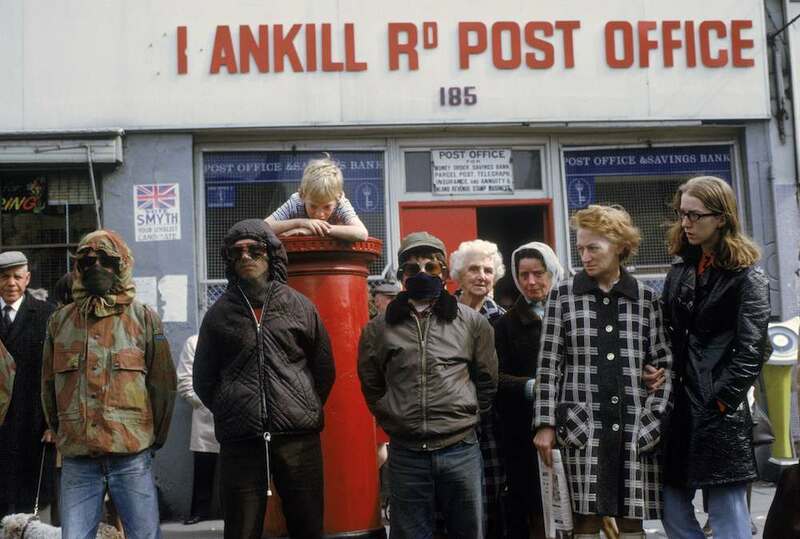 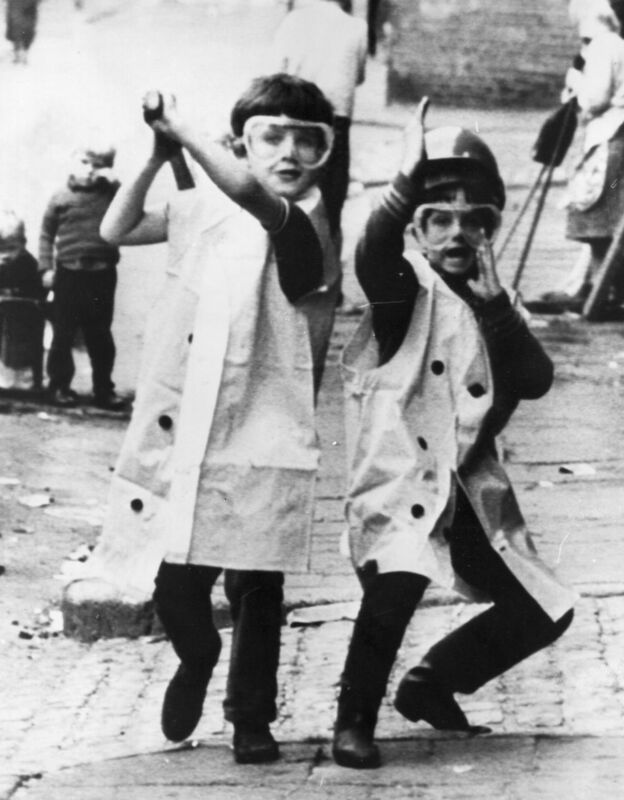 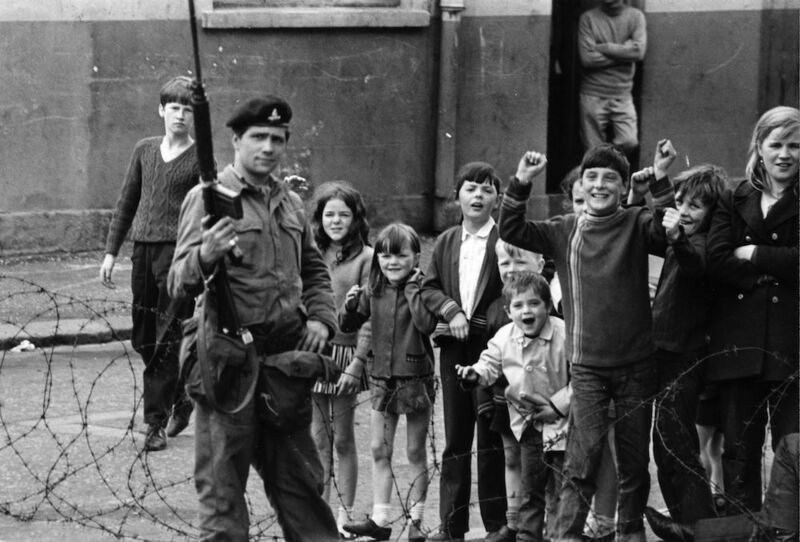 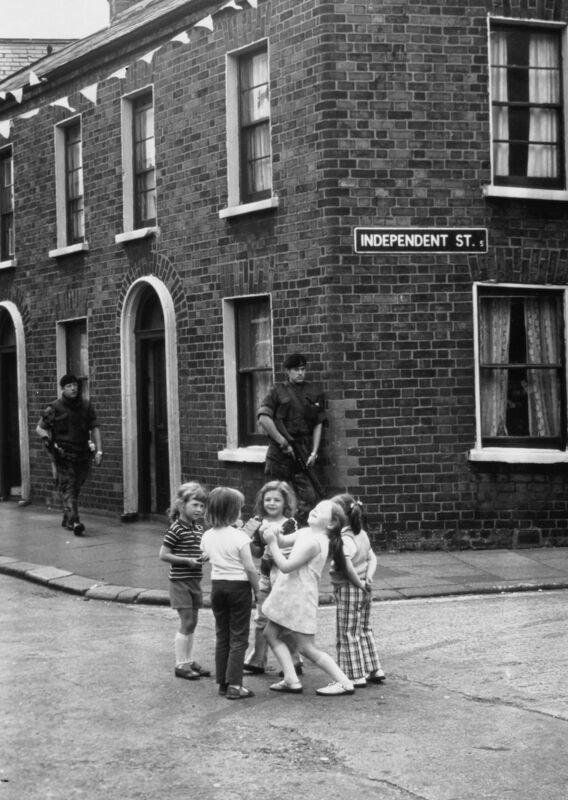 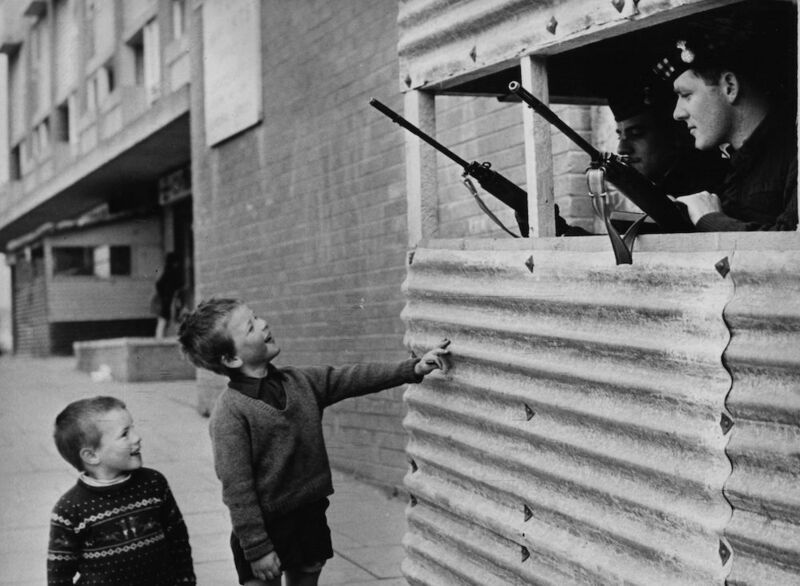 Local people walk past British troops on guard in the streets after violence in Northern Ireland in August 1969. 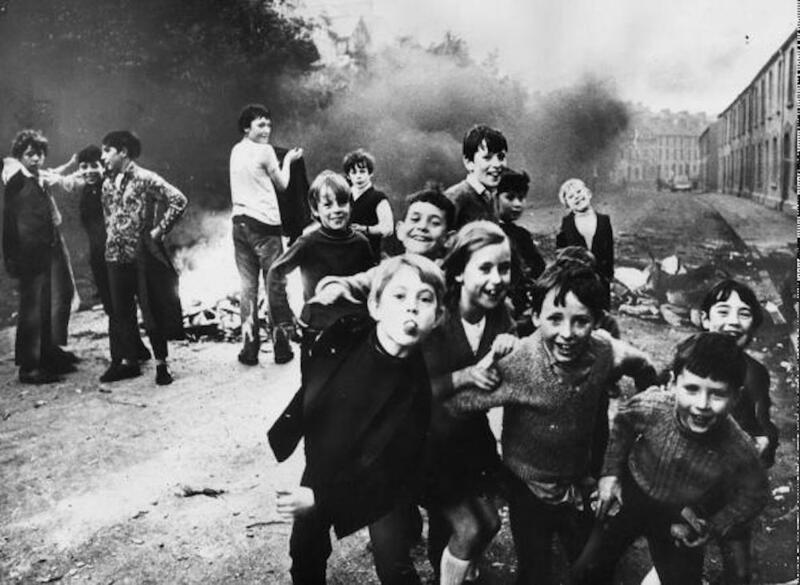 “The Troubles” refers to the three-decade conflict between nationalists (mainly self-identified as Irish or Roman Catholic) and unionists (mainly self-identified as British or Protestant). 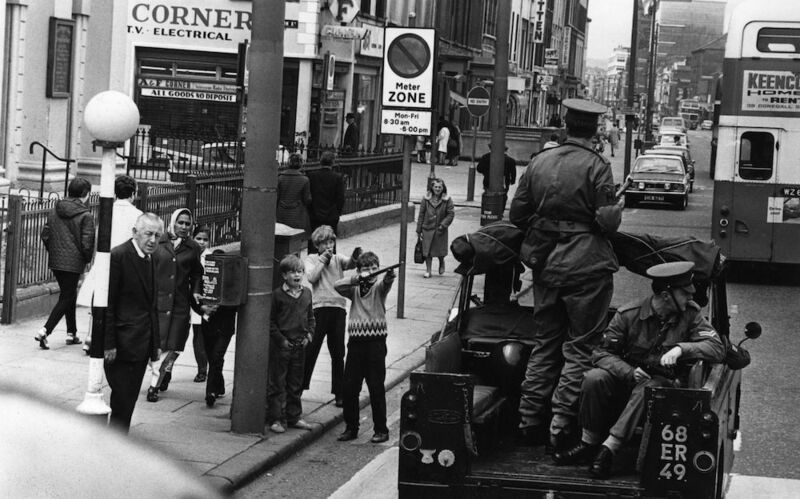 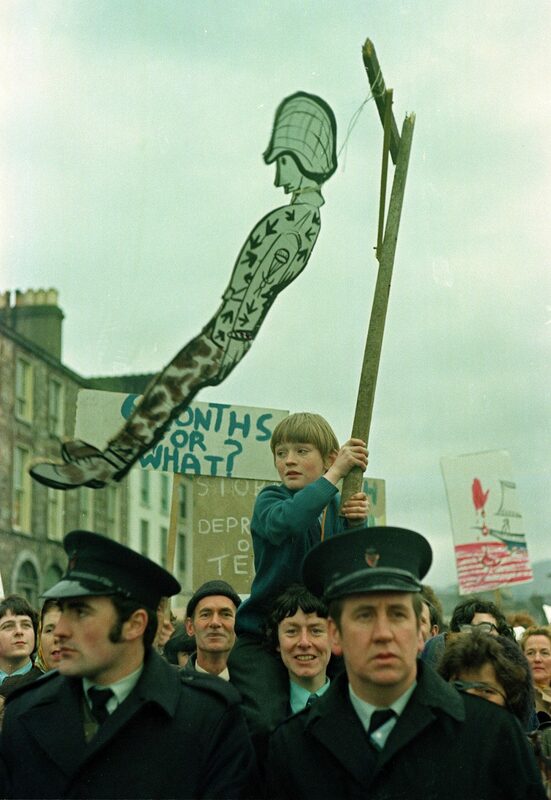 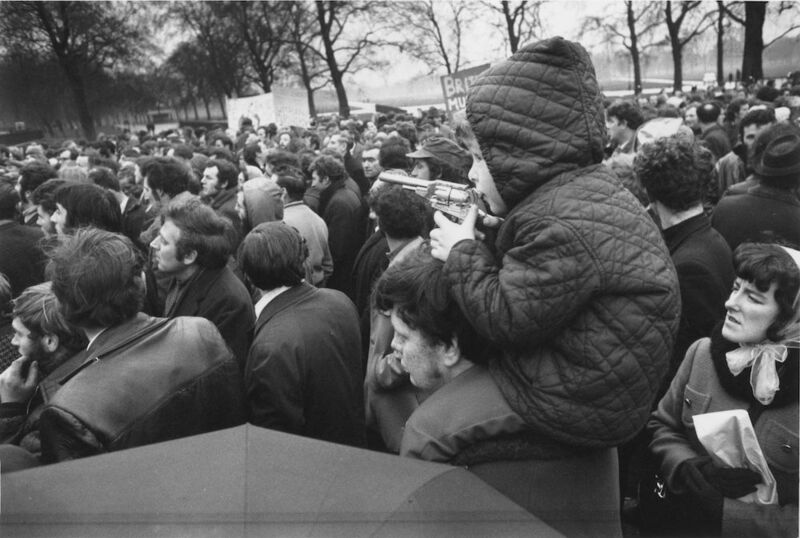 The period of violence was bookended by a civil rights march in Londonderry on 5 October 1968 and the the Good Friday Agreement on 10 April 1998. 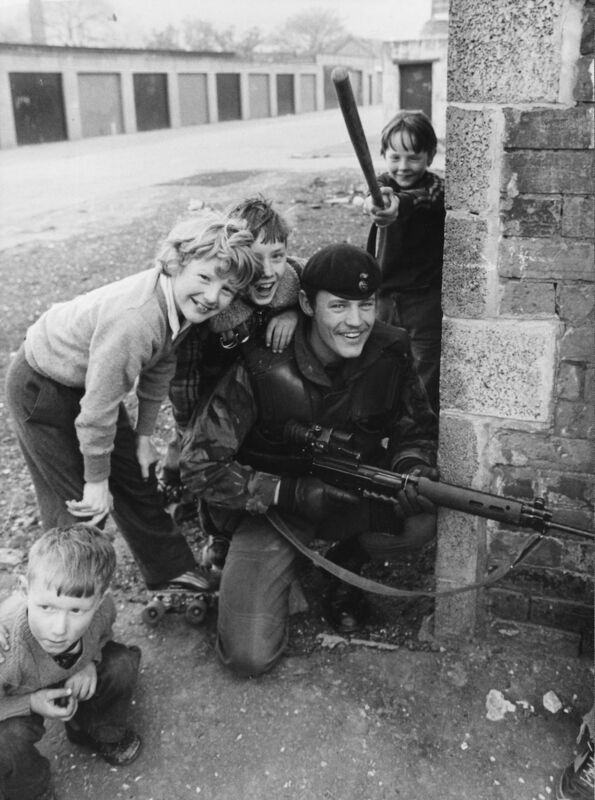 The main protagonists were republican paramilitaries such as the Provisional Irish Republican Army (IRA) and the Irish National Liberation Army (INLA); loyalist paramilitaries such as the Ulster Volunteer Force (UVF) and Ulster Defence Association (UDA); British state security forces – the British Army and Royal Ulster Constabulary (RUC); and political activists and politicians. 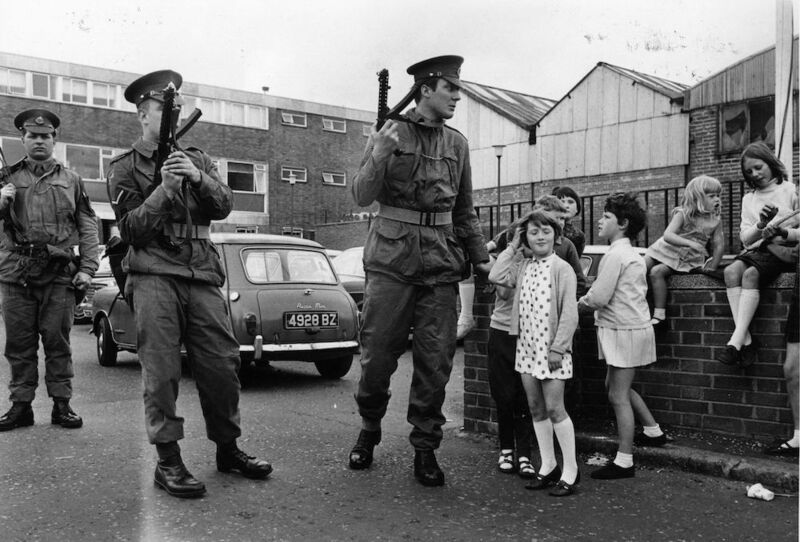 It was a time when for many people around the world Northern Ireland was a place synonymous with murder, bombs, hit-squads, vicious bastards, shootings, victims of liberal bigots, prison and intimidation. 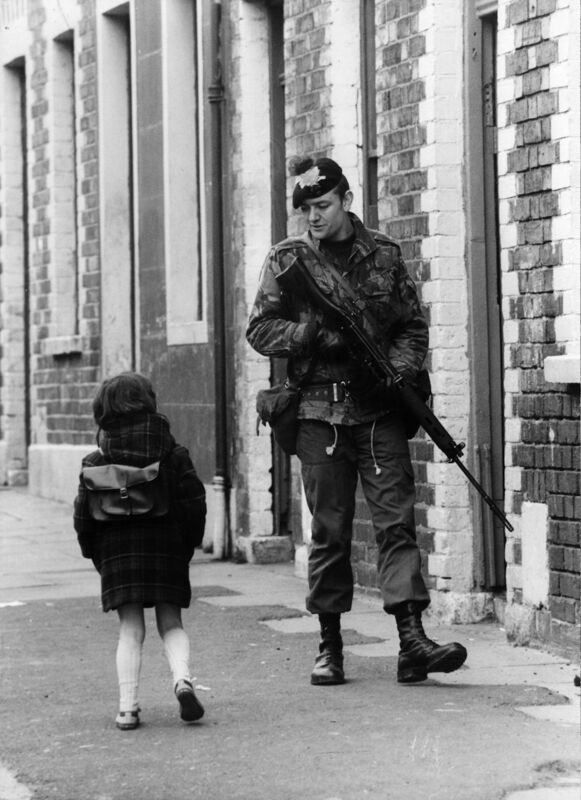 You can read about the history of Northern Ireland in a thousand books. 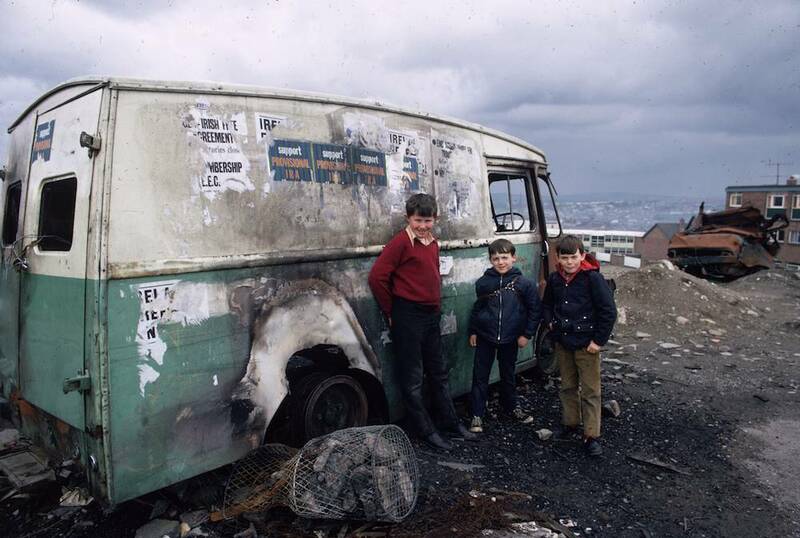 Where to begin? 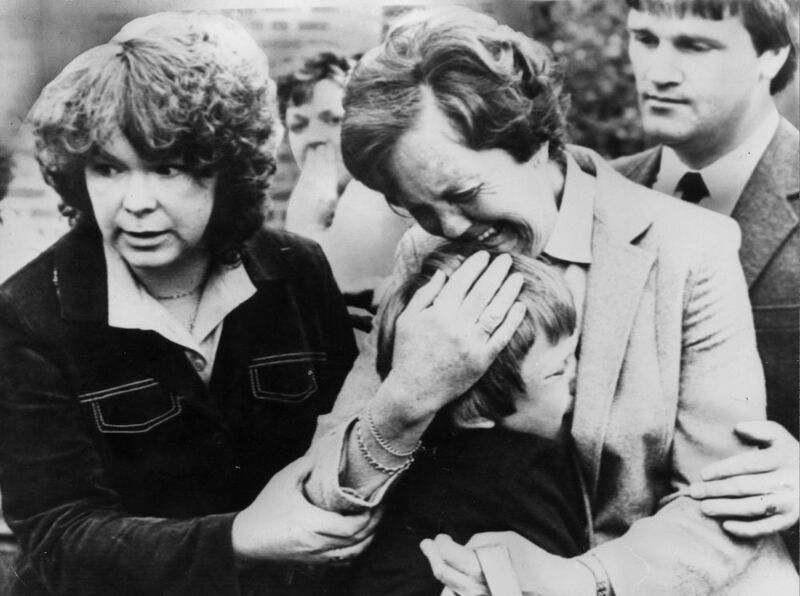 Well, Lost Lives by David McKittrick , by Seamus Kelters, Brian Feeley and Chris Thornton, Ten Men Dead: The Story of the 1981 Hunger Strike by David Beresford, and Trinity by Leon Uris are all good places to begin. 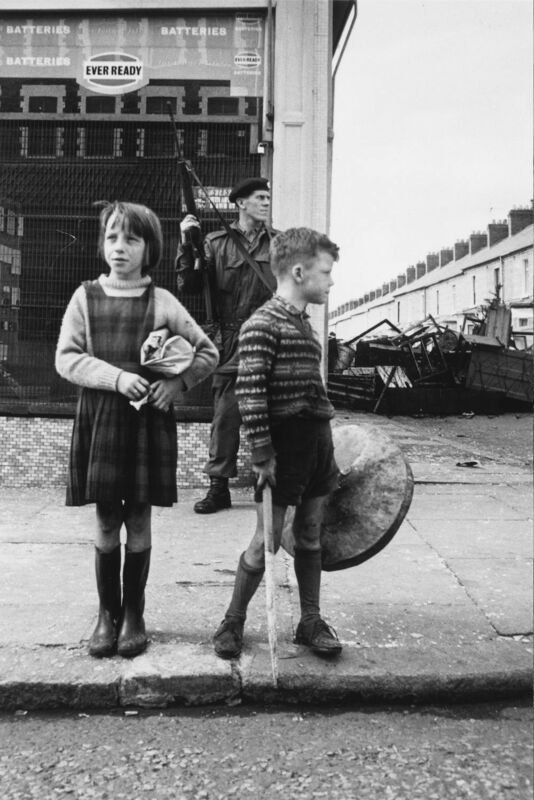 In the meantime, these pictures of children who lived through the hate and destruction tell their own stories.